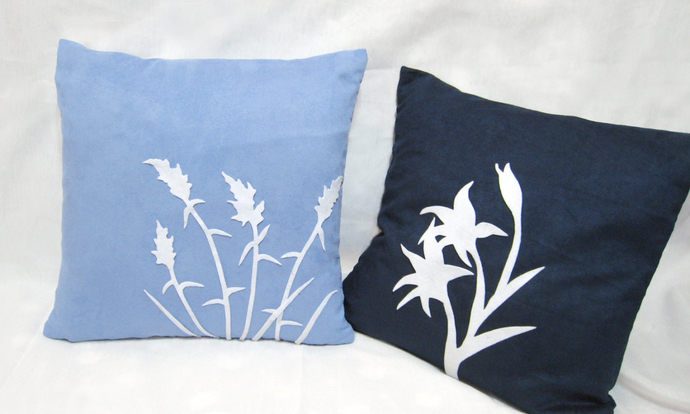 Be enchanted with this set of exclusive decorative pillow cover. 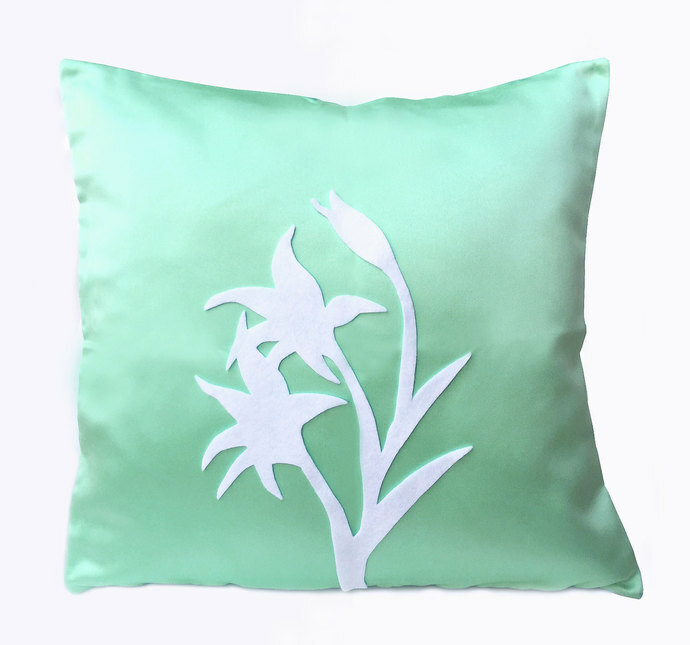 It certainly makes a great gift for housewarming and special occasion too. 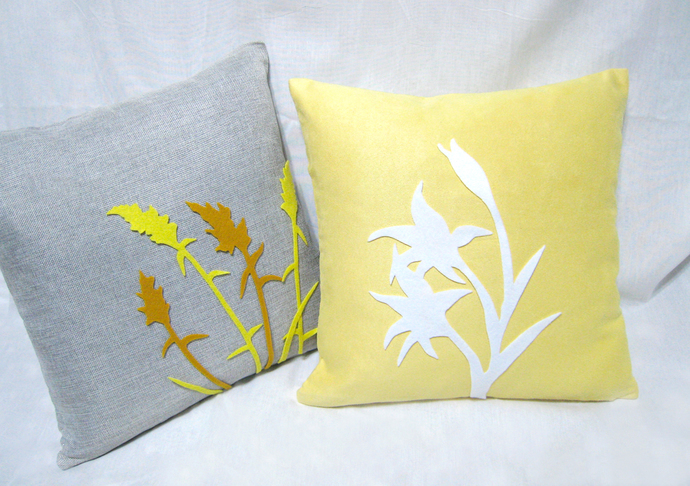 Listing for 2 pieces pillow covers only, combination for Burlap and Suede for a contemporary twist. 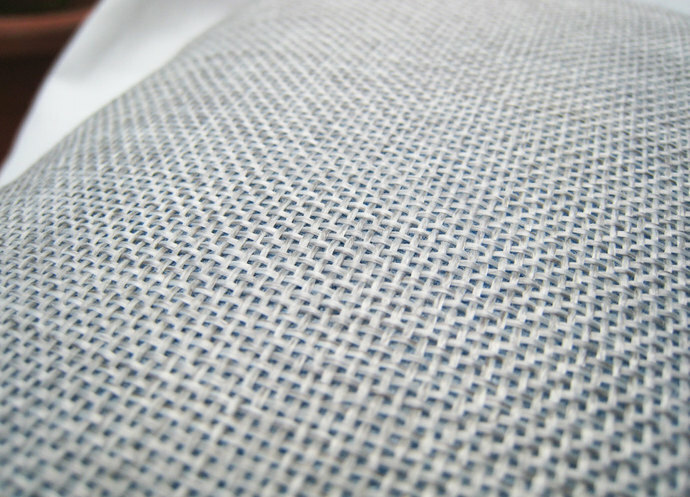 MADE-TO-ORDER, pls allow 3--6 working days for hand-sewing on top of shipping time. Individual piece is selling at US$29 and $28 respectively, please contact me if you only want one of them. 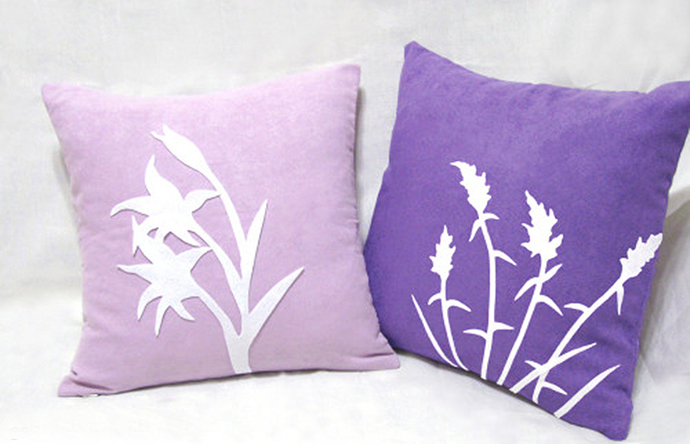 *Wild Grasses and Lilies are hand-cut by me with love of recycled felt. 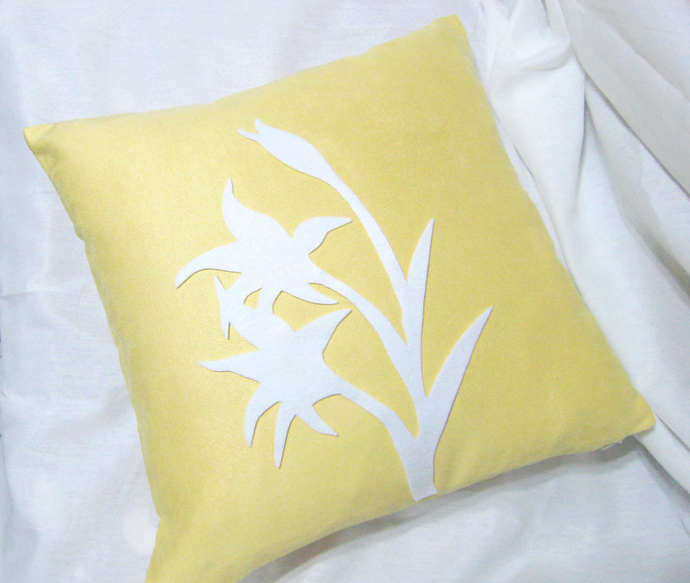 *Hand sewn (Not glue) stitch by stitch with time and love, on the front panel of pillow only. 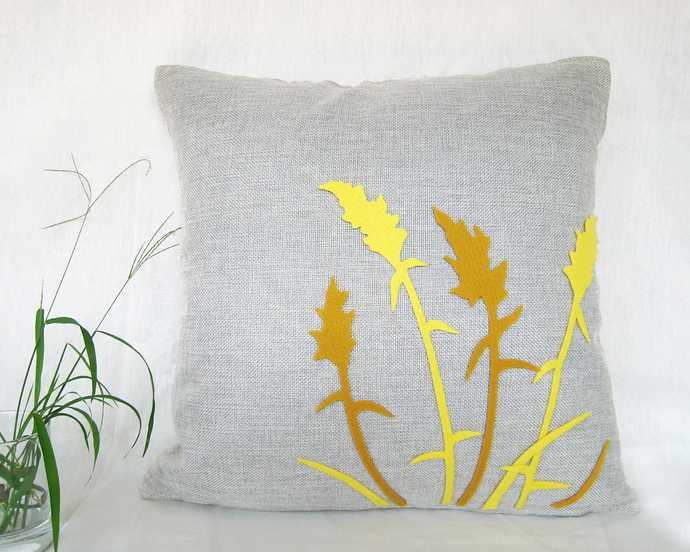 *It is 16inch X 16inch, natural Burlap in Light Grey color for the 'Wild Grass' and comfy fine Suede in Soft Yellow, both with invisible zip at the bottom for insert removal. 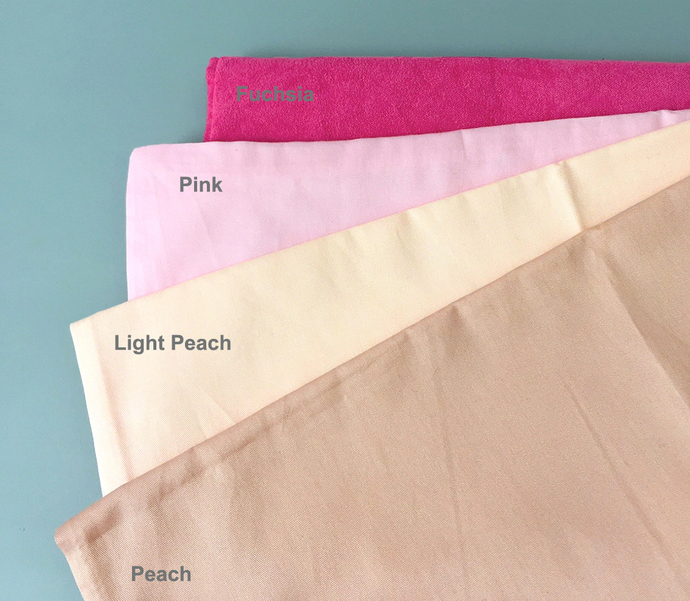 *Other base colors available, please refer to All the pictures and ask me for custom color. Handmade in smoke-free and pet-free home.